My all time favorite snack is banana bread. 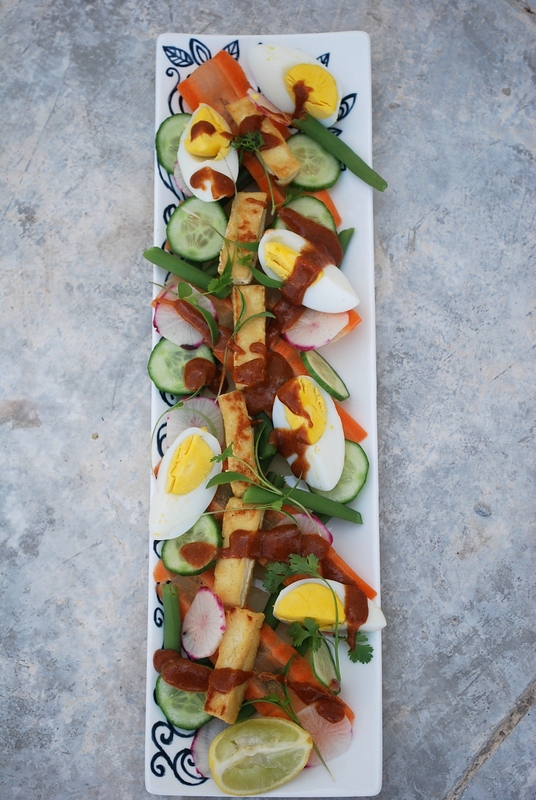 It is not only easy to make but it is so tasty and healthy! 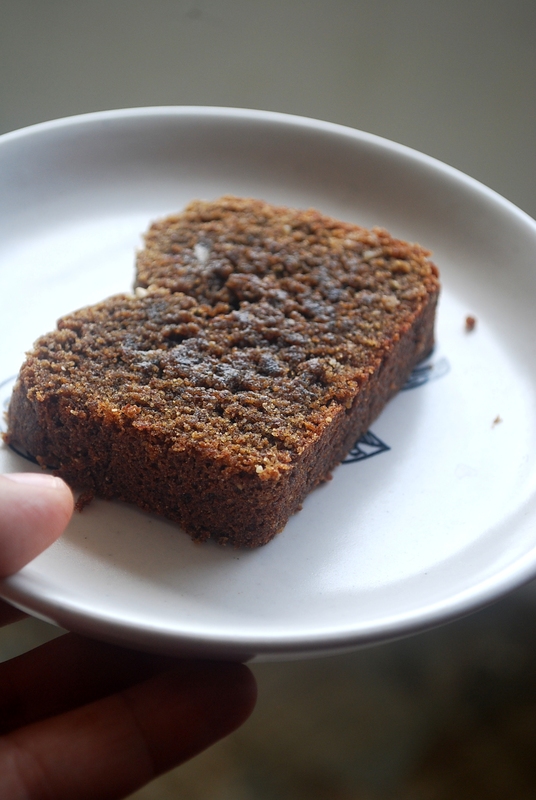 The best part about banana bread is that you can always play with different ingredients. I usually make banana bread with whole wheat flour. 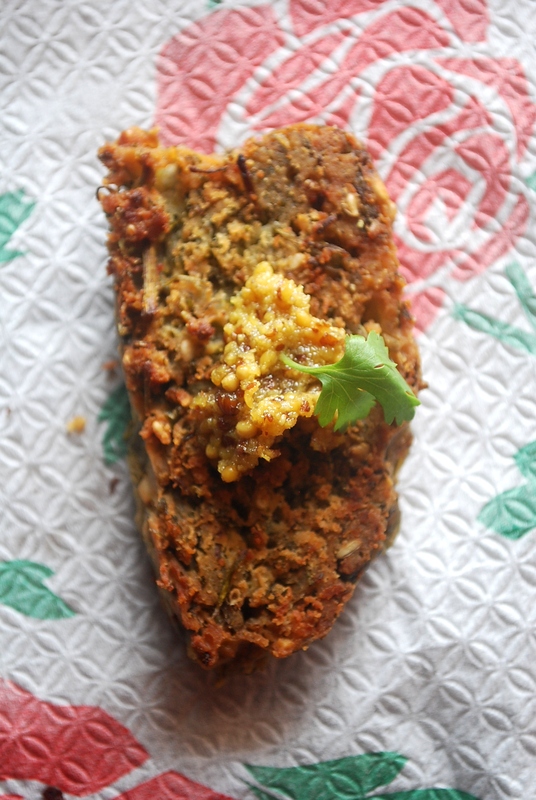 This time, I wanted to try the gluten-free version by using millet flours that were lying in my pantry for sometime. I’ve made this bread couple of times as this particular recipe has become one of my new favorite. 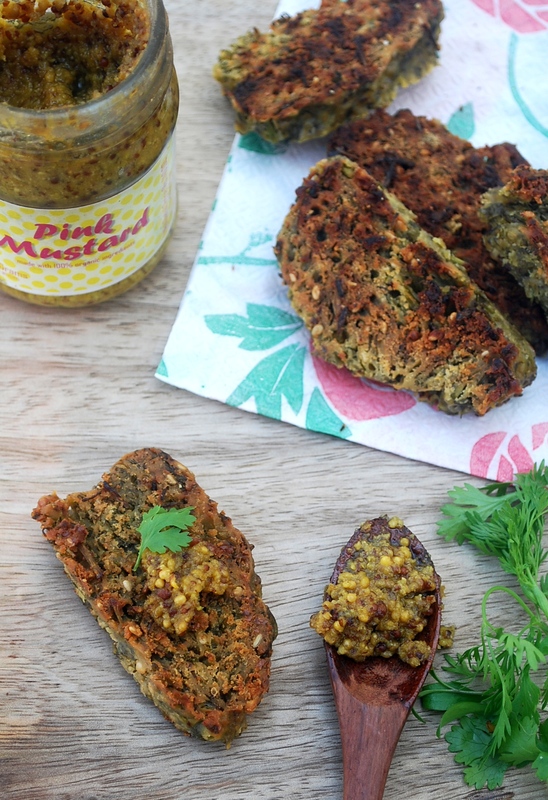 I’ve used two types of millets – pearl and amaranth. 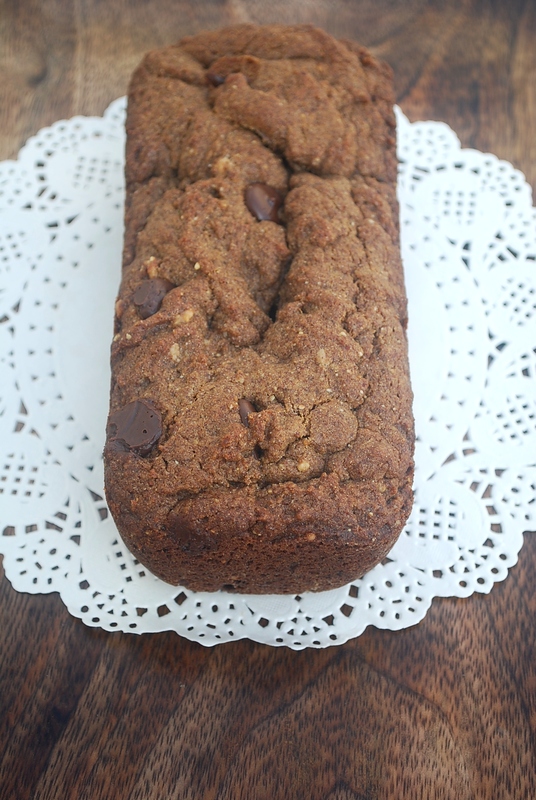 The addition of almond meal gives this banana bread a nice texture and a nutty taste. Coconut oil is something that I love using in my banana bread as it imparts a pleasant aroma and is also an healthy option when compared to butter. 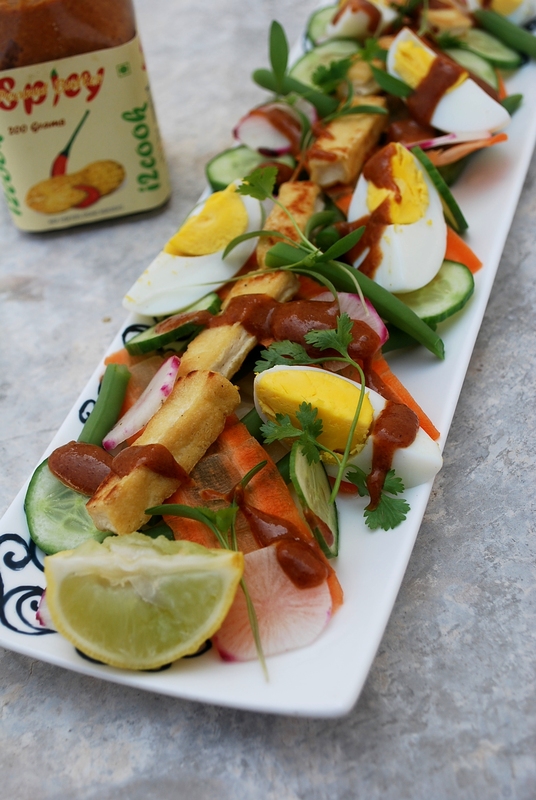 More about coconut oil here and coconut sugar here. Sieve the flours along with baking soda and salt. 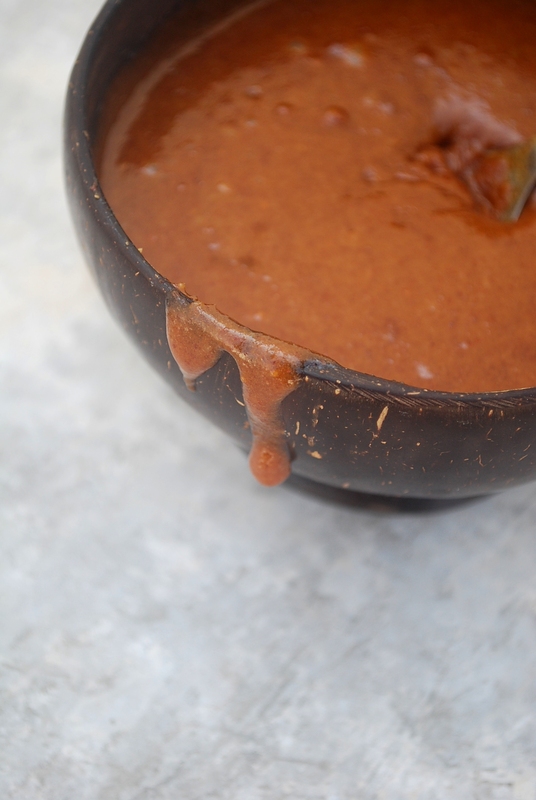 Add coconut oil, coconut sugar and beat until mixed well. Add egg and lightly beat. Combine the dry and wet ingredients (with mashed banana) and mix some choco chips gently with the help of a spatula. Allow it to cool on a wire rack for about one hour before slicing. I love to shop home products online and one such website that I had stubble upon couple of months ago was The Home Label by Sussanne Khan. I find their products unique and well curated. Last week the home label team sent me some lovely products for this festive season. 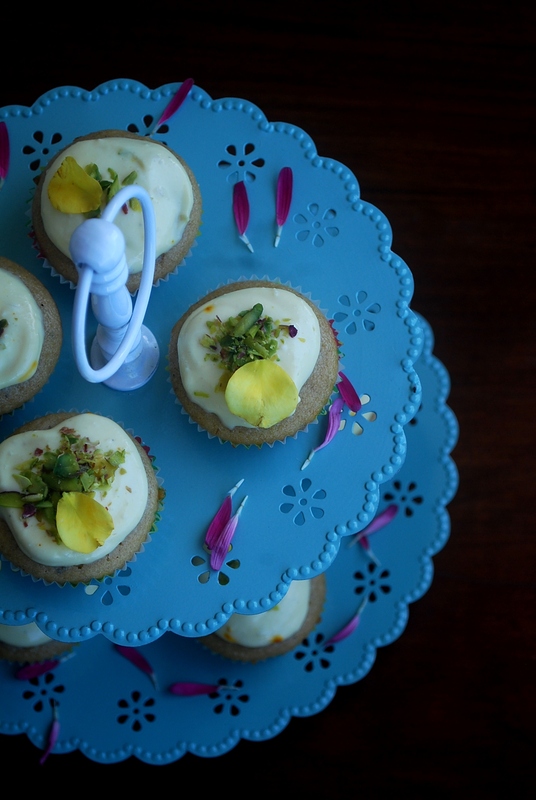 I used the cake stands to display my desi cardamom style cupcakes and the Moscow mule mug for my badam milk. The gorgeous copper body and brass handle mule mug is usually used to serve alcoholic beverages. This mug tends to keep the beverage chilled for a longer period of time and I think they can work great as beer mugs. This mug holds about 500ml. I also use this mug to drink water as copper is know to have great health benefits. I’m a firm supporter of DYI. 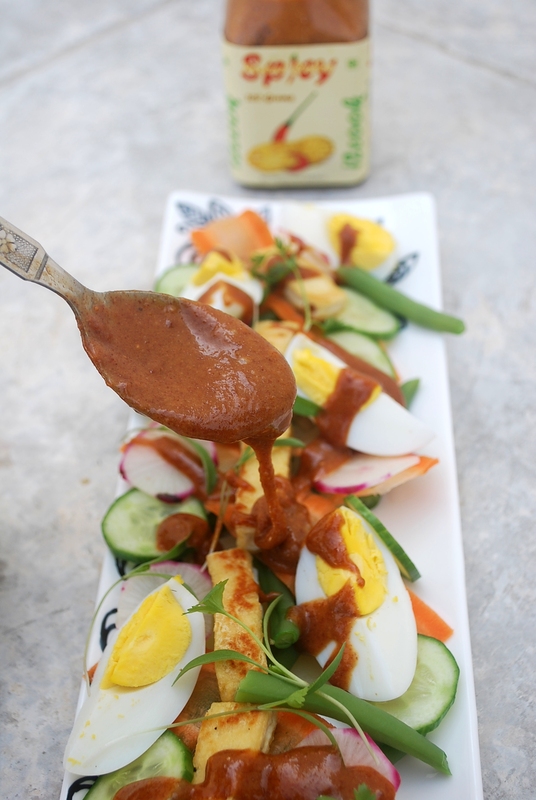 Most of my mayo, sauces or jams are all homemade by me or my friends. This festive season, I’m planning to serve some traditional drink and I thought of serving my guests some chilled badam milk. I detest store bought badam powder as they lack the pureness and are overly sweet. I recently checked the ingredients of one of the well known brands in India and it contained about 80% sugar only. 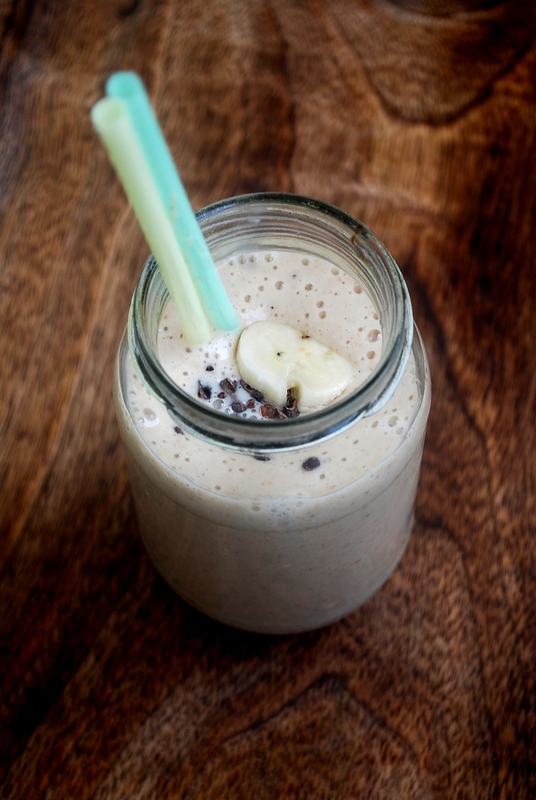 It is the most easiest thing to make at home and I recommend you try this once. You can refrigerate badam powder in fridge for about two months or freeze it for 6 months. I tend to add a little turmeric powder (haldi) in my badam milk to give that nice appealing colour and like our grandma said “haldi is good for you”. Grind almonds, sugar and cardamom until fine powder. Over grinding may turn into a paste. Pour in a dish & mix some saffron and pistachio. Pour the powder in an air tight container and store it refrigerated. Add a teaspoon or two of the badam powder to a glass of milk. Add some sugar if required. Add a pinch or two of turmeric powder for a soothing effect. 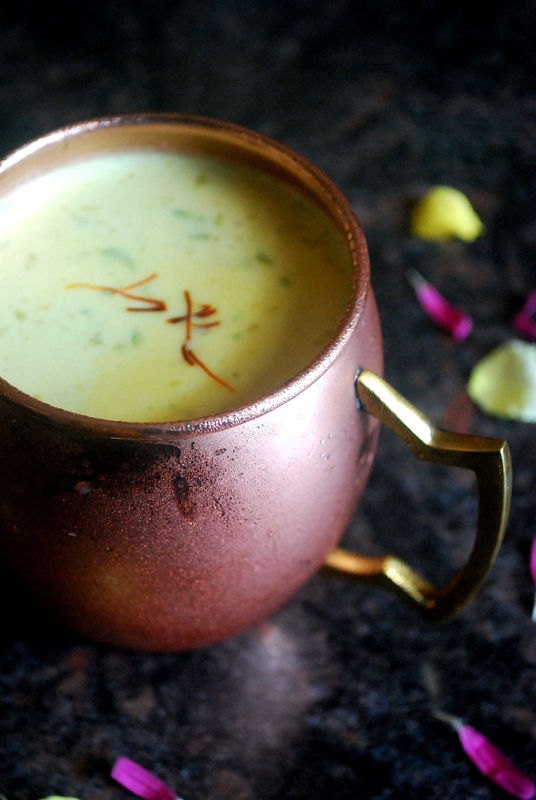 I’m already in my high spirits after a sip of badam milk in my mule mug this festive season! 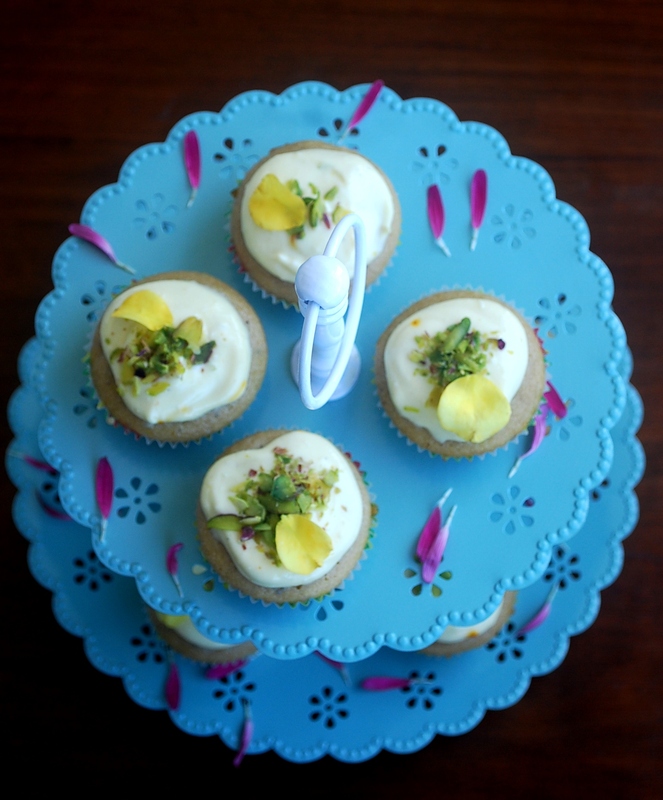 Introducing my Desi style cupcakes, aka cardamom cupcakes with kesar & pista frosting. These eggless cupcakes are a great way to indulge and without the frosting can also be guilt-free ;). I know I have your attention now! 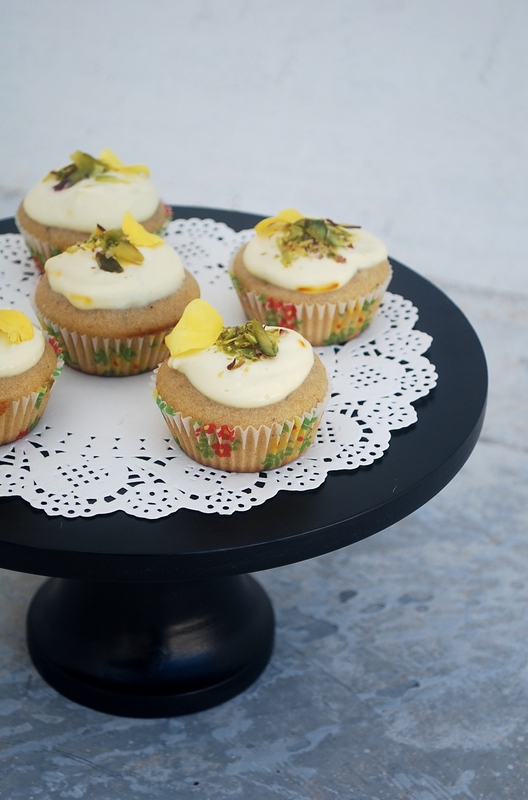 These cupcakes are made with whole wheat flour (stone ground organic atta) and organic olive oil. 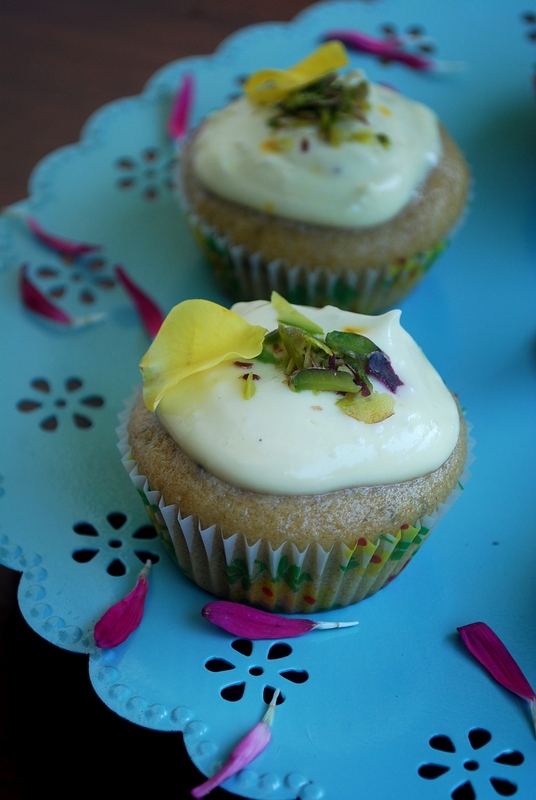 These butter less cupcake are not only organic & healthy but also gives a new dimension to your dessert table for this Dussehra/Diwali. Using local ingredients as much as possible is the best way to support honorable Prime Minister Mr Modi’s “Make in India” campaign. I used an Indian brand for cream cheese and was happy with its texture and taste. 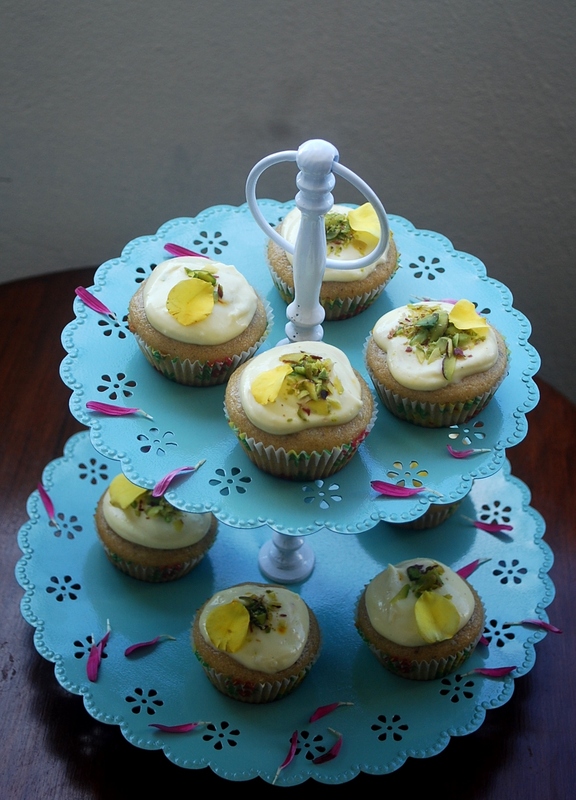 After making the frosting right from scratch, I realized that you can also frost these cupcakes with shrikhand, either homemade or store bought. And also my company was featured in Mint this month. Yay! Ms Sussanne Khan’s The Home Label team sent me this gorgeous two-tiered cake stand & cake stand for my cupcakes. Measure and mix all the dry ingredients like flour, soda, salt, cardamom, sugar in a bowl. Add the wet ingredients one by one to the dry mixture and mix well. Pour the cake mixture in the cupcake molds and bake at 160 degree centigrade for about 15-18 minutes. Cool on a wire rack once done. Makes 20 medium sized cupcakes. Beat all the ingredients for frosting until smooth in texture. Frost your cupcake garnished with some pistachio. You can also use some thick shrikhand as mentioned above in this post. Cupcakes are everyone’s favourite and the best part is that they are bite sized (to make us less guilty). Cupcakes are every where! There are dedicated stores only doing cupcakes and you even have cupcake vending machines in America. Have you seen the cupcake wars on television? 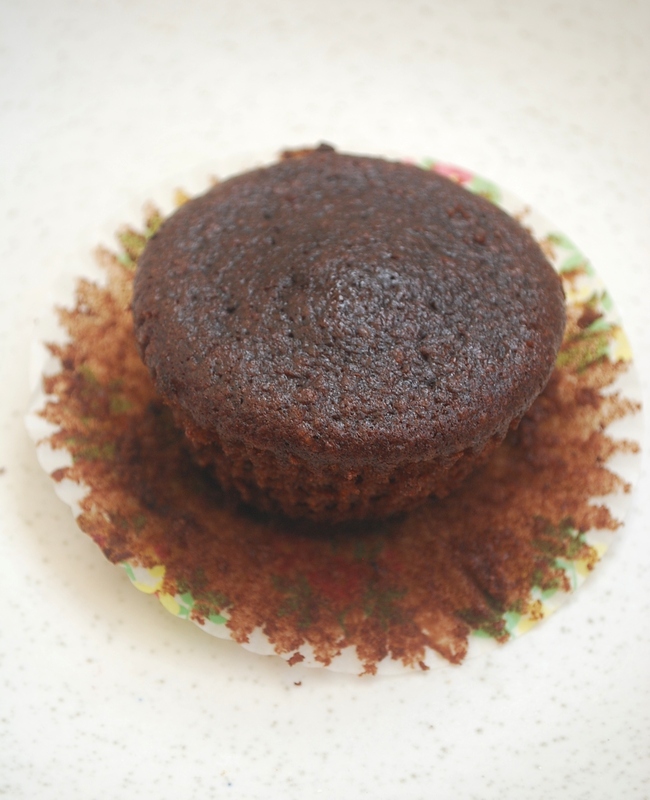 Originally these cakes where baked in small cups, hence the name cup cake. If you have been reading my blog you will notice that the use of refined flour is very minimal. I use a lot of wheat flour in my baking and sometimes use ragi or amaranth flour to make brownies or chocolate cake. I use unrefined and sulphurless raw sugar or coconut sugar in my baking. I also keep a jar of vanilla sugar which comes handy every time I bake. Vanilla sugar can be made by adding few pods of vanilla into your jar of sugar. I always tend to forget to add vanilla in my baking but luckily the vanilla sugar always comes to my rescue. These chocolate cupcakes are eggless and I’ve made them twice already before penning down the recipe here. These are very soft in texture. 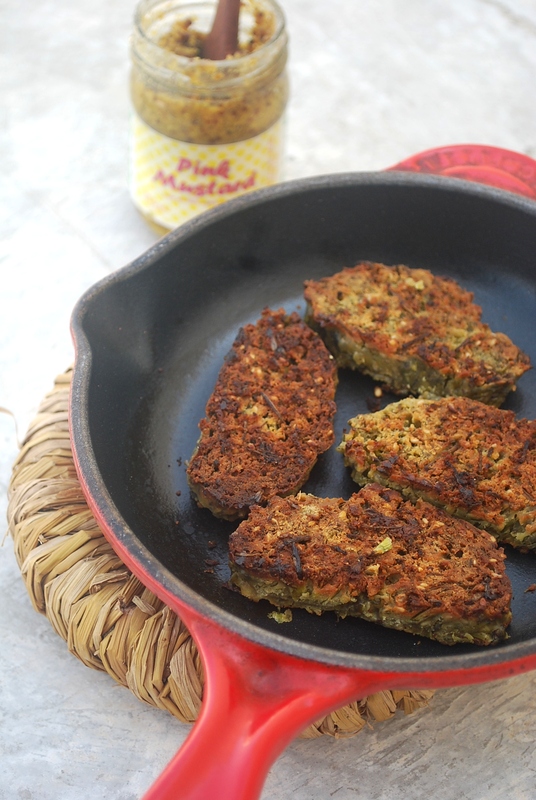 They seem so easy and seamless to make that your family or friends may not even know if you have added oat flour. Note: I used a mix of wheat & ragi flour in my first batch and wheat & oat flour in the second. Feel free to experiment with flours. Measure and mix all the dry ingredients like flour, soda, salt, cocoa powder, vanilla, sugar in a bowl. Add the wet ingredients to this dry mixture and mix well. Cool on a wire rack once done. Makes 24 nos. You could also frost your cupcakes with some chocolate ganache.